The above video is 3:13 minutes long. Guy: This week we catch up with BBC journalist Dr Michael Mosley. In the above video, he shares with us his discoveries when it comes to exercise, calorie counting and why it’s not the best approach to shift that abdominal fat. Note: We are all huge fans of exercise and incorporate it into our lives most days. But we feel it’s important to understand the relationship between exercise and weight loss. About Michael Mosley: Michael Mosley is a British television journalist, producer and presenter who has worked for the BBC for many years. He is also host of SBS’s Trust Me, I’m a Doctor series and best selling author including ‘The 8-Week Blood Sugar Die’t and ‘The Fast Diet’. What sparked your curiosity to explore using nutrition over medication? What can we do to prevent diabetes before it ever becomes a problem? Is exercise of any benefit where our weight is concerned? What are the tell-tale signs of pre-diabetes? Hey, this is Guy Lawrence, 180 Nutrition. Welcome to another episode of the Health Sessions, where of course we cut through the confusion by connecting with leading global health awareness experts to share the best, the latest science thinking empowering people to turn their health and lives around. On this week’s episode, we are doing it with doctor Michel Mosley. 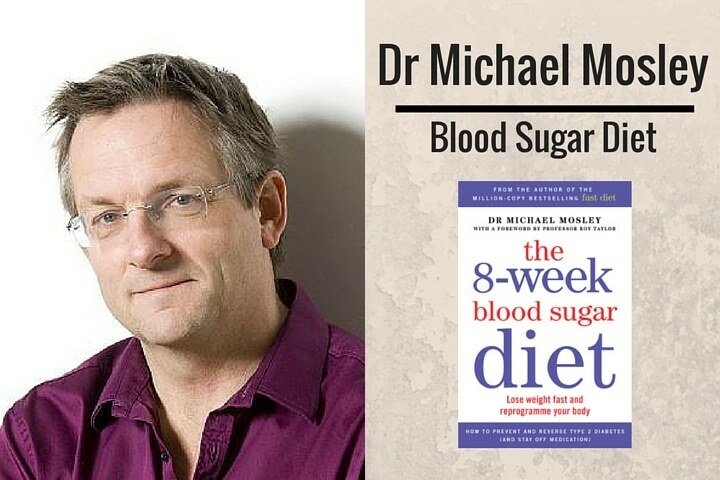 Now if you are not familiar with doctor Michael Mosley, he’s a British television journalist, producer and presenter who has worked for the BBC for many, many years. He’s probably best known as a presenter of television programs on biology of medicine, and has regular appearances on The One Show. More recently he’s been well known for the 5:2 diet which is regarding intermittent fasting and its relationship to help turning diabetes around on pre-diabetics. More recently as well he’s just released a book called the 8 Week Blood Sugar Diet which again is a about calorie restriction and reversing diabetes. Now, we get into all sorts of topics today. Whether you are diabetic or not, it doesn’t matter. There’s nuggets of information right throughout the broadcast. 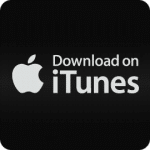 If you do know people that might potentially be diabetic, or pre-diabetic, then it’s certainly a podcast you should want to share with them, to help educate people to make better and informed choices. Because he really shares some interesting discoveries along his way that he’s found over the years, and being a journalist he’s a prolific researcher, and he goes into his own journey today as well, because Michael himself was diagnosed pre-diabetic. I think it was back in 2012, and of course being a doctor and on TV show, it came as a bit of a shock to him. He started looking at it and hence why these books have come out and his own experiments. He talks about how he’s incorporated into his life as well. 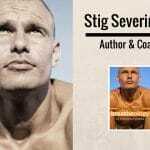 His interesting thoughts around exercise as well and how sometimes less is more, and the things he does just to maintain his health and how his thoughts around the diet and the food we eat has changed a lot of over the years. I know he will be actually preaching to the converted, or to a lot of our listeners on the regular podcast. Sit back, I’ve no doubt you are going to thoroughly enjoy this episode with Michael Mosley today. Of course if you are enjoying our episodes, just subscribe them, and hit the 5 star on iTunes. That helps with rankings and of course leave a comment as well if you like, always great to hear from you, but drop us an email as well. Tell us how these podcasts are affecting you, and if there’s anything that you are learning from it, we love hearing from you guys. It really helps us knowing that we are reaching many people, actually bringing up this information and empower themselves, to change their own lives and turn them around which is fantastic. Anyway, I’m going to stop talking now. Let’s go back to my doctor Michael Mosley. Enjoy. Hi, this Guy Lawrence, I’m joined with Stuart Cooke as always, hi Stuart. Guy:Our awesome guest today is Michael Mosley. Michael welcome to the show. Michael:Lovely. Thanks for inviting me. Guy:I appreciate you coming on mate. I have to say I was watching your talk at the Oprah house the other day from your website, and I thoroughly enjoyed it. I was intrigued by the fact that you are actually a tape worm as well. That was the last thing I was expecting. Michael:Yeah, I know that was an unexpected pleasure as well for me. It was … The series I was doing called infested, and the producer was quite keen that I try and get interested with various things. When he suggested take one, I thought about it for a bit then I said yeah. Guy:As you do, as you do. Look, for our listeners in Australia, they might not be familiar with you Michael, would you mind just picking us up to speed a little bit about your background, what you do and what led you on to this journey to writing 2 books today? Michael:Sure. I actually started at … I trained in medicine at the Royal Free hospital in London where I met my wife who is sitting besides me at the moment. As I said I qualified as a doctor, and then I decided to go into television for a bit, because I got an opportunity to work for the BBC and I thought that might be quite interesting, and I always imagined I’d go back into medicine, but that was some over 25 years ago. I don’t think it’s going to happen. I worked in BBC behind the camera for many years as a director and then executive producer. I made a lot of programs. About 10 years ago I went in front of the camera, and I started doing presenting dozens of programs and particularly programs in which I do a fair degree of self experimentations. I kind of expose myself to all sorts of different things and give it a go. Michael:Like tape worm and other whole range of other things. Stu:I was intrigued Michael in your journey with diabetes and in particular what sparked your curiosity to explore nutrition over medication perhaps in that realm. Michael:Sure, it actually happened about 4 years ago. I went to my doctor for a routine test, and she took some blood sample, and then she rang me up a few days later to say I’m sorry I’ve got bad news, but you are actually a type 2 diabetic. Your blood glucose levels are over the diabetic range. This was a bit of a shock particularly as my dad had been; he’d been told that he was type 2 diabetic at around the same age. He’d gone on to have a heart attack and really suffer many of these bad side effects of diabetes. It was unfortunate the medication doesn’t actually remove all the risk. There’s still, if you have type 2 diabetes, even if you are well treated, it doubles with a risk of heart disease. He also started showing signs of dementia. I thought to myself I don’t want to go down that road. When my GP said, look, “We need to start your medication.” I said, “I’d like to find out something else,” I started touring the world. I came across this research on something called intermittent fasting. That led me to make a program called eat fall asleep longer for the science series Horizon. In the course of that I invented a diet called the 5:2 diet where you eat normally 5 days and you cut calories 2 days. Doing that, I managed to lose about 9, 10 kilos of fat. I wasn’t particularly fat originally, but it was enough anyway to reverse my type 2 diabetes and that was 4 years going and I’ve been fine. That’s what really got me interested in the whole area of nutrition, what we know, what we don’t know, and what you can do about something like type 2 diabetes or indeed anything, what are the real questions around obesity? Why are we getting fat, what can you do about it? These little things, I hadn’t really thought about. I understand that we really got stuck into it at that point. Guy:Yeah, fair enough. I’m intrigued that this is … You look at the statistics today, I think in Australia 1 in 3 or 1 in 4 people get diabetes within their lifetime in Australia at the moment. It’s a growing concern. What are your thoughts now from everything you’ve discovered why we get in that predicament in the first place Michael. Michael:I mean what’s really scary is the, not only the rates of diabetes soaring, but also, and we talk about type 2 diabetes, but type 1 is also on the way up, so is gestational diabetes which is a form diabetes women get during pregnancy. That all forms are surging, but the really big growth is in type 2 and also in what’s called pre-diabetes which happens when you have a blood sugar level which is above normal, but not yet in the diabetic range. If you add pre-diabetes to diabetes, then around half Australian population have abnormal blood sugar levels and most of them don’t know it. This is primarily driven I think by the weight that’s being put on, particularly weight around the gut, around the tummy, but also a diet which has become much more processed, and much heavier reliance on starchy foods and sugars. That’s really happened since back in 1980. 1980 is really when obesity took off and overweightness and diabetes really took off all around the globe. It’s not just in UK, Australia, America the obvious places, but you get places like Mexico is now the fattest country in the world. Their rates of diabetes and pre-diabetes is off the ranges. The Middle East weight used to be negligible, now 25% population. Places like Vietnam, again almost none, 20 30 years ago, now 10% the population. It’s a worldwide phenomenon. Guy:Do you put it down to diet alone, or do you think there’s many factors contributing to it? I mean what have you learnt for the past 4 years since you’ve been looking into it? Michael:I think it’s primarily diet. There’s an exercise component to it. Someone said it’s a bit like Batman and Robin, there’s the main person and then there’s the side kick. In this particular analogy, exercise is Robin. It’s mainly about the accumulation of fat particularly fat around your middle or around your tummy. We all put on fat in different ways. Women tend to put it on more on the hips and the bottom, and that is probably not a bad deal, the fact you put on your around the gut. Men tend to put on more of it which is why men also tend to have higher rates of type 2 diabetes. We also tend to put on more of it as we get older and again that’s probably why the risk increases massively as you get older. Also some people like people from the Indian subcontinent and Asians when they put on fat they also tend to put it around the middle. Again, that may explain why they are such greater risk than Caucasian. Stu:Any tell tale signs outside of fat that we should be aware of, because I’m guessing that most of us are not going to have blood glucose measure at hand, and perhaps don’t see the doctor regularly, what should we be looking out for? Michael:Well the first and obvious thing is I’m looking at your waist size. If you are more than, do you do inches or centimeters? Michael:Okay. I thought you’re still thinking inches. Obviously 35 inches which must be I guess about nearly 80 centimeters. If your waist is more than that, then you are at risk. If you have a family history too, mother, brother, sister, then that also significantly raises your risk. If you are over the age of 50, again high, 60 higher, 70 much higher. If you have a body mass index which is overweight, high and so it goes on. The symptoms are often subtle and indeed absent. If you have pre-diabetes you almost certainly wouldn’t know, even if you are type 2 diabetes about a quarter of people don’t know they got it. In both cases, some of the things happen or you might feel thirsty a lot of the time. You might go to the loo a lot of the time. You might have an infection which doesn’t heal, a cut that doesn’t heal, but it can also be as nonspecific. A friend of mine just had ringing in the ears, and when he went along, his blood sugar levels were absolutely sky high. It’s actually; it’s a very insidious and progressive disease. That’s why so many, I guess why I have written about it because I bang on about it, because it is something, the longer you have it, the worse it is, and you can do something about it if you act in time. Stu:I just wanted to throw myself into that mix as well, because I’m 70 KG, I’ve got a 28 inch waist, but my father has type 2 diabetes. Now that doesn’t put me out in the picture, does it just because I’m lean? Michael:No, it doesn’t. It means that you are obviously much less likely to have it, and you still got something like double the risk if you have a family history. Unfortunately no, particularly if you let yourself go. If you get older, do take care about your waist, because that’s where the stuff piles on. You can be at risk, but you can prevent yourself from tipping over. We all have our own personal fat threshold. About a third of people who develop type 2 diabetes have a normal body mass index, what would be regarded a healthy weight, somewhere between 20 and 25 and yet a third of people in that category still have type 2 diabetes. Guy:Did it come as a surprise to you Michael at the time? Michael:It did and it shouldn’t have, because as I said my dad had it. People kept on telling me how much I look like my dad even though I was I thought a much slimmer version. The thing was I didn’t look at the weight. I wasn’t particularly over weight. I mean I had a body mass index of 25 which makes me on the cusps. They put me through a body scanner as part of the film and it turns out I almost called it [toffee 00:13:59]. That means I was thin on the outside and fat inside. In the MRI machine, you could see all this white fat gathering around my pancreas, my liver, and things like that. I didn’t have a lot of fat on the surface, but for whatever reasons, my genetics, that’s where the fat gathered. It came as a shock because we all assume we are immortal, and we’ll be fine and things like that. I was unexpecting, sure. Guy:for sure yeah it’s amazing what we eat on a daily basis how that affects us long term. I’m intrigued about your nutrition. What changes did you start … Where did you start to explore, because I know you talk a little bit a lot about the Mediterranean diet, and where did you start to explore and how long did that take to incorporate the changes in your daily diet that you’ve done at that time. Michael:It actually took a surprisingly long time because although I trained as a doctor, I learned nothing about nutrition then. Indeed I have spoken to Australian doctors, American doctors and they all said the same thing, it’s not part of the curriculum. It’s not something you ever learn anything about. You learn bits about exotic forms of disease, and nutritional disease like kwashiorkor or beriberi or something like that. Not what you should advise a patient if they come and talk to you. Also doctors are very bad at keeping up to date with this sort of thing, because they don’t at some level rate it. They don’t keep up to date, they don’t read the journals and yet there is a level at which they … An almost an arrogance that they know what they are talking about although they don’t. I was absolutely in that category, and I took quite a long time to start really investigating and really questioning my assumptions. I started off with the first 5:2 diet, the first diet. Then I was really just … I wasn’t really changing what I was eating, I was simply cutting down my calories 2 days a week. That time was enough, but then I started thinking okay what’s really out there, what’s the evidence? Then I for example I started looking at eggs, because I was always kind of brought from medical school on with some of the idea of the low fat diet, it’s all about low fat. Frankly at that time there was no mention of sugar, you could eat as much sugar as you wanted, nobody cared. The only deal was fat; it was fat, it was fat, it was fat, fill up on starchy foods. If you have sugary foods, that’s fine, don’t worry about it. The only you can get fat is by eating fat. That kind of was an unquestioning assumption which I clearly had, because I didn’t change. Then I started as I said I started to look at the evidence behind a lot of these things and I believed. I believed for example the eggs were bad for you, and it turned out actually eggs are very good for you. I switched to having eggs in the morning rather than cereal. I found that kept me full for much longer, so I was much less inclined to have a snack at mid day. Then I looked into the research around things like soup and it turns out soup is very filling, so I started going for soup. Then I really started looking at other things like the Mediterranean diet, which you’ve described and I switched from margarine to butter. I switched to eating a lot more olive oil; I started to cut down on the starchy stuff which is the pasta, the white rice. I switched slowly to other forms of grain like bulgur, wheat, or things like that, and each stage it was like you are reluctant, I gave it a go. I discovered actually I quite liked it, and after a while I still do, I still love roast potatoes with a bit of beef. I just kind of last night we had no potatoes in the house; I was actually having some roast beef. I was cooking for the kids, and I wasn’t bothered that we had something else. My kids sometimes … They are more reluctant converts to this I have to say. My wife is fully paid up into Mediterranean diet, into a low carby thing. She is actually doing lots of experiments at the moment with all sorts of recipes and things like that, because we are going to produce a recipe book, because I’ve written this book, The Black Sugar Diet. People want more recipes, more stuff, more information. Claire is basically doing, throwing stuff out on this, and as I said the kids are complaining about the food. They feel the food is far too healthy at the moment in our house. The other thing is one of the obvious things I learned early, early on is I have no will power. If there is chocolate around the house I will eat it. If it’s in the drawers, if it’s on the table, if it’s visible, I stuff it down my throat. That’s the other thing we try and keep the junky food out of the house which obviously the kids complain about as well, but they accept it. Stu:You’ve told us exactly how you’ve changed your food and I was surprised to hear in there that you didn’t join a boot camp, and you didn’t trade … You didn’t put on your running shoes and pound the streets night after night after night. What do you think were the benefits of exercise would be if we are trying to lose that abdominal fat, and we perhaps don’t change our diet at all? Michael:Yeah, I think that as I said I mean exercise is fantastic in so many different ways. We do good exercise to improve mood, it also reduces your risk of developing diabetes or pre diabetes in the first place. The thing is it’s just not a terribly good way of losing weight. One of the big problems is that you have to do so much exercise to burn calories, people thoroughly underestimate. It’s partly because when you go into the gym and you will see … You go on those machine and it gives you a figure, the figures are always misleading, I mean grossly misleading. Partly is because they give you what’s … They give you the amount of calories and it’s not very accurate, but the measure of the amount of calories maybe you are burning say running. You would be burning a lot of calories just sitting on your bottom. What you want to know is how many extra calories am I burning by running and the answer is not very many. It depends on your weight and your gender, but broadly it’s about 100 calories per mile run. To burn about half kilo of fat you would have to run 50 miles. Stu:Wow and presumably after running 50 miles you are going to be ravenous as well. Michael:Perhaps yeah that’s the problem, we know from all the research that what people do is they compensate. They compensate by eating more or they compensate by moving less, they do both and this is very, very clear. The other thing is obviously what really happens is people go for a 2 mile jog, they burn probably about … Maybe 150 calories. They then have the muffin, the muffin is 450 calories. Then they are surprised they don’t lose any weight, and that’s the reason why people give up because unfortunately the normal thing is you go on your exercise regime, you weigh yourself, you go for do a moderate amount of exercise for 2 weeks. You stand on scale again no difference, you go, oh, oh my God this is a complete disaster, and you just give up. Now that’s why I said there are really good reasons for exercise, and particularly for getting active, but unfortunately weight loss is not the main one. Although I would say that once you’ve lost the weight then exercise is a very good way of keeping it off. It’s also a very good way of preventing all sorts of diseases, so I am big fun of exercise, but I like my exercise when I do it, I like it fairly short and sharp. I mix the muscle building with the heart and lungs, yeah the aerobic because you need both. Michael:Well, I mean I guess one of my … I have some rules if you like for myself. One of them is I try and stand up every 30 minutes, 40 minutes something like that. Because we know now that sitting down is alone, particularly continuously is a really bad thing to do. In some ways it’s probably as bad as smoking. We also know that if you sit for 5 or 6 hours pretty continuously, and then you go to the gym for 2 hours, you are not going to undo the damage you’ve done from the sitting. You need to get up and move around particularly after you’ve eaten. It turns out that that’s the best time you need to go for a stroll, and that gets the sugar and the fat in your blood storing around. It also switches on these enzymes called lipoprotein lipids which will direct the fat from your blood and the sugar from your blood and stick it in your muscle to be burned. The number one thing is be active and again one of my rules are always try and take the stairs. If I’m on the London underground I find it quite depressing because people just stand on the escalator. I always walk and sometimes I run. If there are stairs there I always take them. If I’m heading to the airport I stroll around as much as I can. I just try and … I live at the top of a steep hill. One of my other rules is I never drive, I always cycle or I walk to the station which is like a mile and a half away, and it’s a drag coming back because it’s a steep hill, so I push myself then as well. 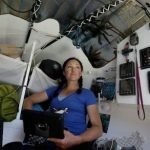 I normally arrive kind of grasping in the … But the other thing you got to do is you are going to push your heart rate up, that is incredibly important for insulin, for all sorts of things. It’s not enough just to trudge along with the model right. You actually need to pull up [inaudible 00:24:25], so if you are going for a walk you have to speed it up occasionally particularly up the hill. You have to get your heart rate up to 100, 120, 130, 140. It’s not enough to plug away on a jog, you need to put some sprints in on the hill. Otherwise you are really not going to be doing yourself much benefit, it’s the intensity in the end, but not the duration. I keep it quite short, I mean one of the things that I do is as I said is on my bike it’s probably a 5 minute cycle back up the hill and I put in little bursts of 20 seconds when I go flat out. I have an exercise bike and one of the regimes I do is a set of 5 minute regime. What I do is I get on the bike, I pedal away for about maybe 30 seconds just a bit of warm up. Then I go flat up for 20 seconds against heavy resistance. By the end of 20 seconds I’m quite inactive, and then I slow down and let my heart rate drop down to about 120, then I do it again, then I do it again. If I was really fit I could probably manage 4 or 5 of those. If I was really unfit I recommend you do sort of 10 to 20 seconds. I wrote a book about this called first exercise, because I was introduced to it by some of the world’s top exercise people about 3 years ago. Again I made a program about it called the truth by exercising. I was amazed how much benefit you can get from really short sharp burst of intense stuff. People worry that it’s dangerous, but actually the study isn’t quite convincing, it’s not as long you do it. You introduce yourself, you work your way up to it, you do it gradually, you don’t … There are variants on it. There are these things where you will do things like insanity where you do it 2 to 3 minutes ago. I’m not recommending that because I think no normal human being could do it. It’s just putting in these really short bursts, and by that I mean about 20 seconds where you really push yourself. Stu:Well then and that should be actionable by everyone, because we all have 2 minutes in our day. Michael:Absolutely, and that you can get this done and say I do it … I just incorporate it into my life where I can. I work on the 7th floor of a building, and so I just run up the stairs sometimes. I have a real burst I would, and I do it on my bicycle and as I said I have got an exercise bike which sits there, and if I haven’t done anything for a while, then I just do that and it takes a maximum of 4 to 5 minutes. Guy:Excellent, and alongside that you’ve incorporated weight burning exercises you mentioned as well. Michael:Yeah, and so that is really important as you get older as I’m sure you know, it’s about maintaining and building muscle. This is particularly important for people who have sort of doggy blood sugar levels, because you need the muscle to just soak up the sugar after a meal. The thing I do … Sorry I do as quite often, my wife we both roll our bed, and we have this regime where we do a mixture of things like press ups, which we work the upper body and we alternate them with the other ones. I do about 20 seconds of those followed by a little bit of a breather followed by 20 seconds of squats, 20 seconds of sit-ups. Again I kind of written about it and also have an app if you look on the app store called fast exercises. Which covers the basic things you can do, and this is based again on some very interesting studies. It’s about alternating the top half and the bottom half. You never truly exhaust either bit so to speak. Squats for example are a brilliant form of exercise because they exercise pretty well the biggest muscles in your body, so the ones in your bottom and your thighs. They are not in themselves original exercises that the normal stuff that people know about. Well the pattern is more unusual if you like, as I said it kind of alternate. Then you don’t need any equipment, you don’t need anything, you are just using your weight to do this which is why I think it’s so great about it. Again I get it all done in 4 minutes after I go out in the morning, I get up, I have done that. When I brush my teeth the other thing I like to do just to keep my balanced decent shape is to brush my teeth standing on one leg. I do 30 seconds on 1 leg, 30 seconds on the other leg, and I do that for 2 minutes while I’m brushing. You are supposed to brush your teeth with … I do electric toothbrush but … Because again balance is one of those things is critical to maintain. I have some slightly strange habits as you can see, but what I’m trying to do is incorporate these things into my life, so I do them automatically. Because I know if I relied on will power or anything like that it wouldn’t happen. Occasionally I go for a run, but if I know I’m going to go for a run the next morning, then I leave my shoes by the bed or by the door, so I see them. I have that cue which says to me do it. I looked at these wonderful surveys where they ask people how much exercise do you do, do you do 150 minutes in moderate, and which is recommended in [inaudible 00:29:36]? In Britain 60% of people claim to do this. When you actually fit them with accelerometers which measure how much they really do. Do you know what figure it really is, what percentage of people really do? Michael:Always around 6% to 4%. Michael:That’s how much and I bet if I do that with Australians you would probably get a similar figure. People have a wildly exaggerated sense of how much activity they really do. Guy:We have this romantic idea. Yeah. Michael:The same way they have … Absolutely, and government statistics are based on these reports and self reporting and this nonsense. That’s the interesting thing is we now have the ability to measure stuff, and now we can measure stuff. We find out that a lot of things we used to believe are no longer true. For example the whole thing about daily being bad for you, we now we can actually measure what goes on inside the blood and the evidence is really very strong now that it’s the low fat daily bad for you, and it’s the full fat stuff particularly full fat yogurt and is actually fine, and if anything probably beneficial. Stu:How or when do you think this gap would be bridged? Because it sounds like it’s critical. Michael:I think that it will probably take 10 to 20 years. That is the … Broadly what happens in medicine is unless the evidence is staring at you right in the face, they say that essentially you have to wait till the older generation die, then the next will come along. Because all along people rely on the information they picked up 20 years ago. If I was optimistic, I would say sooner than that, and I guess that’s why I bang on about the stuff and other people bang on about the stuff. There’re studies going back at least 10 years now. For example about the benefits of the Mediterranean diet. 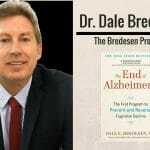 A lot of people pay lip service to it, certainly for example DNA [Chess 00:32:22] in the UK, up on the website it tells you about this thing called the predimed study, which was a study comparing low starch diet with Mediterranean diet. Mediterranean diet just scored overwhelmingly, better on everything you could possibly imagine. Michael:Whether it was for example your risk of heart disease, which was cut by 30% compared to the low fat diet, risk of developing diabetes which was cut by 50%, risk of developing breast cancer which was 70% low. DNA Chess says yeah, this was a great, great study. Then it says, what is a Mediterranean diet, and then what it describes and I kid you not, based on a low fat diet, there is no correlation between these 2 best examples, and unless you actually go back, and you actually look at the study itself which you can easily do, you Google it, predimed, it’s up there on New England Journal of Medicine, it tells you exactly what they did. You have to dig around and that’s what I did. Unless you do that you’d read the thing on the … And it’s just a website which tells you to eat starchy food and things like that, you’d still remember they’re experts, they must know what they are talking about. Reality is I gentlemanly don’t get it. I contacted them; they said we have no plans on changing anything until 2017. There’s an unbelievable level of resistance to what appeared to me quite clear and quite sane suggestions. Guy:Yeah, but fortunately I think from people like the Alexis itself, we’ve been running a podcast for 3 and a half years interviewing people and getting this information. I mean, if people are ready to listen the information is now there, it’s just getting it across. Michael:Absolutely. I have remained in my … I’ve remained optimistic in a sense … My wife is a GP here in England. She’s been pushing this message out there, and to be fair to her colleagues, initially they were extremely skeptical, but they have seen the benefits. One of the curiosities in the UK again is that if you are a GP, you are paid to put patients on medication. You are not paid to help them lose weight. That may change, I hope so. I think once enough people talk about it, once enough patients here about it, once they start to embrace it, the changes happen so rapidly and so profound and obvious that it’s quite difficult to ignore it. I mean many years ago, one of the first time since I made it was about 20 years ago was about an Australian doctor called Barry Marshall. Barry was convinced that stomach ulcers are caused not by stress or by abnormal acid levels as most doctors believed, but by a previously unknown bacteria called helicobacter pylori. At the time, if you wanted to stop yourself getting an ulcer, or you want to treat it, you took this drug and the drug basically reduced your acid levels, it helped the ulcer, it didn’t cure it. It cost you 200 or 300 dollars a year and you took it for life. Barry said I can cure you for 3 dollars; I’m going to make some antibiotic. Now this was kind of rubbish, I made a film about it. Anyway Barry went on to win Nobel Prize. At the time, he thought it would take 10 years, well it took 8 years. The evidence was bomb stormingly clear that if you ever tried it, it worked. It worked and it worked within days if not weeks. Yet, people didn’t want to do it. They didn’t, doctors wouldn’t try. Many, many patients ended up having their stomachs removed and things like that. It just makes you weak. They eventually embraced it, he went back and won the Nobel Prize, because then it became … He was validated if you like. When I made the program, I got a lot of nonsense coming back at me from doctors who claimed that it was one sided. I said, look, here is the evidence. It’s very, very clear what the evidence is. Patients contacted me; I gave them Barry’s advice, the antibiotic treatment. It was really quite simple. It worked really, really well. It doesn’t work with everyone. Nothing works in everyone. I have been there, I have seen this happen before, but it did change. It took longer to change than we might have hoped, but it did change. I hope the same thing is true here. We know doing the things I described in the book will make a huge difference. The people who try it, try it and not everyone succeeds, but a huge number of people do succeed, and so I’m hoping they’ll go and eventually tell other people. Stu:Just to change gear a little bit and talk about the blood sugar diet. Your new book, I’ve read it, Guy’s read it, and I’ve seen you on TV describing the principles of the diet as well. It makes radical claims, reversing type 2 diabetes which is amazing, astounding. I wondered can we just talk a little bit about that and perhaps start off by describing the principles behind the blood sugar diet. Michael:Sure, I mean, the principles are quite simple though. The primary cause, and this is based on research done by Professor Roy Taylor who’s one of the world leading diabetes specialists, he’s a professor of Medicine and Metabolism at the New Castle University. We have known for 20 years that if you have type 2 diabetes, and you had bariatric weight loss surgery, you can reverse it within weeks. Your blood sugar levels will go back to normal within days. You can come off of medication. People who are insulin dependent diabetics came off within a short period of time. 20 years later as long as you keep the weight off, most of those people who have reversed diabetes are off it. In a way, this is not that radical, and yet it’s being utterly ignored. What Taylor said is actually it is why have surgery, why not just try doing it by going on a rapid weight loss diet. He had also exposure. He has some the world’s best MRI machine rays. They can kind of look inside the body. When he did, what he found is that people who are type 2 diabetics, they had very high levels of internal fat. They had very fatty livers and fat in the pancreas. He developed this hypothesis that basically the primary driver of type 2 diabetes and indeed pre-diabetes is accumulation of fat in your liver and in your pancreas. When these two organs stop talking to each other, which they do when they get clogged up with fat, then you start developing the early signs and symptoms of diabetes. If you don’t do anything about it, then you will become a type 2 diabetic. You will also run the risk of developing cirrhosis of the liver, because what they call non alcoholic fatty liver disease has now overtaken alcohol as the primary destroyer of the liver. It’s the fat again in the liver. There’s no medical treatment for it, that’s why it matters. About 30% of Americans, and probably Australians as well, I don’t have the precise figures, certainly UK have fatty livers which means maybe 30, 35% of the liver is made up of fat, which is a profoundly bad thing. You’ve got liver in the fat, you’ve got liver in the pancreas, these organs are not talking to each other. You want to get the fat out? Now what Taylor’s son did is he did a number of studies involving volunteers. He said, “Do you want to try and reverse your type 2 diabetes? I think I know how to do it. You need to go on this 800 calorie diet for 8 weeks. If you do that, I believe what will happen is the fat will drain out of the liver, and out of the pancreas, that’s where it will go fast, and once you’ve lost enough body weight, then you will be able to reverse your type 2 diabetes.” It depends obviously, it’s not going to work on everyone, the longer you’ve had it the less likely it is to work, because the more permanent the damage is likely to be. That was like a promise. He got volunteers, with trial back in 2011. They saw the adverts in GP surgery. I spoke to several of them. They spoke to their GP; their GP said it will never work. You will never stick to it; you will never keep off the weight. When you fail don’t feel bad about it. Come back. That was overwhelming approach. All these medical colleagues, this is a stupid pointless thing, but if you really want to do it, do it. He did the original trial and he showed that 90% of them were able to reverse their type 2 diabetes, and 2 years later most of them were still fine, still by 85%. He did another trial, another trial, another trial. He’s done a lot trials, and consistently the same evidence. He did a retrial recently which he found a few had been diabetic for more than 8 years, then it was 50%. It was still 50% in patients as long as you lost … You had to lose about 10 to 12% of your body weight. That is obviously demanding. When he put these people, and they were motivated obviously, because they knew what they were facing if they didn’t do it. He found on average weight loss was 15 kilos over 8 weeks. The vast majority of people you can’t treat what you might believe, kept it off because they were motivated. They could measure their blood … They saw their blood sugar levels get back to normal pretty well immediately. They came off medication almost immediately. They were on multiple treatments, cholesterol lowering, blood pressure lowering, they came off everything, because they didn’t need it. Even the ones who did not succeed in reversing the diabetes they still went down, their blood sugar came down, their insulin level was halved, and they improved right across the spectrum. If you do it, if you are pre-diabetic, then the evidence is even better. If you are pre-diabetic, we know there’s a very high risk you will go on to develop type 2 diabetes. If you lose 10% of your body weight, then that cuts your risk of becoming diabetic by 90%. If you lose 70%, it cuts … Sorry; if you lose just 7% of your body weight then it cuts your risk by about 70%. Any weight loss particularly weight loss around the gut, is going to change things. Taylor has an impeccable record in this area. He’s been researching it for 10 years. He has all the signs. He’s done the studies. He’s doing bigger better studies now, and it’s just kind of a [inaudible 00:43:26] saying this stuff. I mean, the good thing is even the skeptics acknowledge that what Taylor has done is superb science. It was very difficult for them to say this is nonsense. It’s only to criticize me on the grounds that I’m making it up off the back of a cereal packet, it’s actually yes. This is not my research. This is based … Taylor has written a forward, he’s checked out the book. I’ve had the book and everything in it checked by at least 3 or 4 world experts and they are different field. They’ve all approved it, they are all fans, they are all enthusiastic, so I feel completely confident in the science. Guy:I was going to ask, what have you noticed with the participants once they finish the 8 weeks? What’s prescribed? Are then eating a more Mediterranean diet, and being able to stick to it, or they resorting back to old days, what have you found? Stu:Okay, it obviously depends. It depends on people. I have a website which is called bloodsugardiet.com, where people come along and they enter their data and you see the first slash of enthusiasm. I’m not naive enough to imagine that everyone will stick to it. In the book I do recommend 3 approaches, because I’ve talked to … I spent the last 2 years talking to world obesity specialists to say what is the best way of keeping the weight off? Once you’ve lost it what’s the best way. I mean, one of the surprises to me was that they were pretty unanimous in saying the best way to lose weight is to lose it fast. It’s not to lose it slow, the evidence is very, very clear that if you want to lose weight and keep it off, they said it’s better to lose it fast than to lose it slow. Now that probably surprised you, it certainly surprised me, but that’s the basis of Taylor’s research and for calories. A similar study done in Melbourne in Australia, another big study done in Oxford University, again consistent finding that it’s the weight loss you achieve in the first month or so that predicts how much weight loss you will achieve, and how much you will have kept off 2 years, 5 years towards the down the line. You lose the weight, you … How do you keep it off? Well you switch to a more Mediterranean style diet, it’s a bit high in fat, it’s more edible, it’s more nuts, it’s more satiating. You’re occasionally given to temptation because otherwise you would go bonka, but you forgive yourself; because that’s the other thing you have to do, you have to forgive yourself. If you go to our website there is a community there. Some people come more long terms so they can chat to people, they can talk about when times are bad. The other thing you have to do is you have to deal with stress, because stress is a major driver of everything. Because we know that for example when you get stressed that leads to a huge production of the hormone [inaudible 00:46:25] and that will drive your blood sugars crazy, it will basically drive them up. It will also make you sleep badly, and when you sleep badly you get more stressed, and then what you really want is you want sugary cabs. When I am stressed what I want is a doughnut, or that’s what I really, really want. The way I wrote about it in the book is about mindfulness. Because I have looked at all sorts of different stress management techniques, and I guarantee the horizon [start talking 00:46:57] about this, I look at different things, and the thing I found which appears to have the best evidence behind it is mindfulness. This idea of it’s a sort of formal Buddhist training, you don’t need to go to any shrine to do it. You can download apps from [crosstalk 00:47:10]. Absolutely and in just 10 minutes, really if you’ve never done it, just try. It’s very difficult to begin with, because we are just not used to sitting just breathing and thinking above our breast. There is a wonderful study I read about the other day where they took some American students and they took away everything. Stu:Would you exercise during the 8 week period? Michael:Yeah, I mean well, certainly I recommend activity, I wouldn’t recommend running a marathon, if you are not ready running a marathon. I do think that you can do these other things; I think you can get up. You should drink lots and lots of water because you will dehydrate if you are on 800 calories, and that would lead to constipation and headaches, if you don’t drink enough, so 2 liters a day. Also the great advantage will bring confusion amounts of water as you will get up and go to the loo more frequently, so that will get you out the chair. I do recommend you walk as much as possible; you take stairs and things like that. Yeah I mean increased activity, exercise, running; I don’t see any problem with it on the calories unless … We are all different. Some people may find they don’t feel terrific running, other people will find they do feel terrific. Somebody contacted me the other day from Australia and said she finds it surprisingly easy. It took about 3 or 4 days, that’s typical, she adjusted, and she says it gives her more energy, and so she is actually doing more exercise. Also because of she will lose weight, people the other way are told to go out and eat less and do more exercise. The trouble is when you are overweight you don’t want to do exercise. Stu:No, it’s the last thing that you want to do. Michael:Exactly, but many people find that when they cut back, they actually feel more energetic, but as I said I don’t … I recommend it, but I don’t say it’s obligatory because we are all different. That’s why in the book I also … I suggest you try it for 2 weeks, and if this isn’t really working for you, you try a gentler version, which is the subtle more 5:2 version where you do it just 2 days, or 3 days a week day and calories … Because I think it’s all about we all have different responses, we all have different tolerances, we all … That’s what we got to recognize as well. Again that’s coming incredibly clear the more that we look at the human genome, the more we look at individuals, the more we look at things like you got bacteria. We will all respond to different things in different ways, and that’s why I try and keep … Sorry. That’s why I try and do things which are off the choices. Michael:Yeah, no I’m really delighted I must admit, I was expecting some criticism, actually the medical profession have been very enthusiastic at least the ones who read it. The book is selling fantastically well over here, I believe it’s selling well in Australia. I’m about to launch it in the states. I’m getting really, really excellent and very interesting feedback. I mean one of the things that’s coming back to me is I haven’t stocked enough vegetarian recipes in the book. I’m writing another book; at least my wife is doing most of the writing with a nutritionist, another recipe book which will have more vegetarian and vegan options and things like that, because I’m afraid I’m something of a meat eater. I like meat, but not huge amounts of it, but … And really interesting just feedback coming via the website from people just observations from stuff like that. On the whole yeah the response has been much, much more positive, and enthusiastic, particularly as I said from the medical profession than I was expecting. Guy:Fantastic, awesome, now Michael I appreciate time is getting on. We ask everyone a couple of questions on the podcast to finish up. The first one is what did you eat yesterday, or today actually it’s still at the end of the day? Michael:Okay what I had today is I had some scrambled eggs and smoked salmon for breakfast. I had nothing for lunch, because I wasn’t feeling hungry and this evening my wife cooked up something she was testing out, which was a sort of pork burger with vegetables and quinoa. The kids tend out their noises, but then admitted it was actually really rather nice at the end of it. Guy:That’s awesome and the last question is what’s the best piece of advice you’ve ever been given? Michael:The best piece of advice I think I have ever been given was that I should remain as curious as possible. Because one of the things the dean of our medical school said on our first day at medical school was that we would learn a huge amount over the next 5 or 6 years, but within 10 years most of it would be out of date. Unless we remained curious we wouldn’t know which bits of our knowledge were just completely wrong. Guy:That’s brilliant, that’s actually one of our mantras here on 180 is stay curious. Fantastic and for anyone listening to this that wants to know more about your work Michael, where is the best place to send them? Michael:Go and visit the bloodsugardiet.com, that will tell you a lot more about this, but also take you off from different directions. Or if you go and look … I also do a series for BBC television called trust me, I’m a doctor. If you go and locate BBC.co.uk/trustme, then we have a lot of evidence based medicine there. Guy:Brilliant, we’ll link to the show notes once we publish it out anyway, so some people can go and check it out. Michael:Good to talk to you. Stu:Yes, thank you so much for your time we really appreciate it, and good luck with the book, we love it. We just want to push it out and reach as many people as we can, thanks again. Stu:Thank you then, bye, bye. 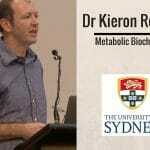 Dr Kieron Rooney: How Can We Maximise Fat Burning During Exercise? Probably the Most Amazing Example Of Endurance Athleticism You’ll Ever See!